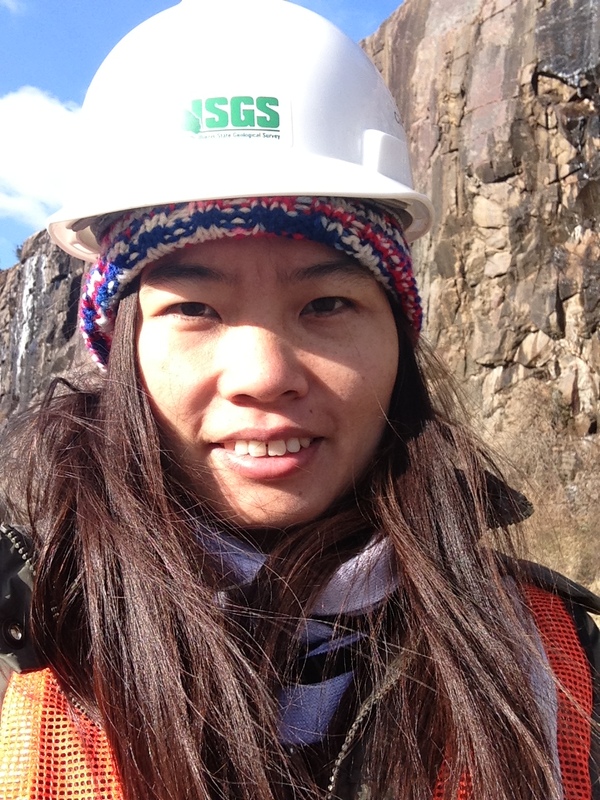 Yang Fang works for the Illinois State Geological Survey as a reservoir engineer, conducting reservoir simulations to identify and optimize field development options for the use of CO2 in Enhanced Oil Recovery and geological storage to reduce CO2 emissions in the atmosphere. A. It is meaningful. We seek to extract more oil and gas in better ways to meet energy needs and inject CO2 in the subsurface to slow down global warming. A. We can actually “see” the subsurface through technology, and we use what we see and what we can do to plan future in terms of providing energy and environment solutions. Q. What project or accomplishment are you most proud of? A. One of my projects showed significant CO2 Enhanced Oil Recovery and storage potential of an oilfield. Field tests and a pilot development proposal has been submitted to facilitate a new CO2 EOR industry in Illinois. Q. What drew you to your field? 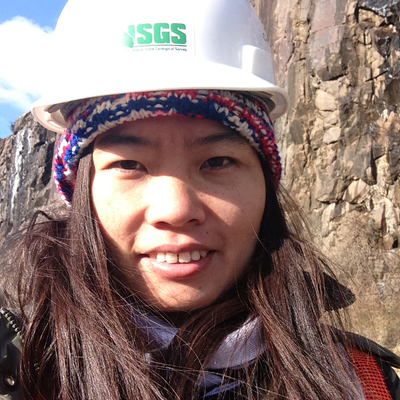 A. I chose petroleum geology for my undergraduate study because I was under the impression that geology will take me to places far away from home. That is not really true, but I became fond of geology when I knew more about it. Later, I switched my field into petroleum engineering during my graduate studies because I like the application aspects of research. A. Enjoy what you do or make it enjoyable! Really live your life so you have a lot to share. Yang Fang conducted a demonstration project with a large amount of data (over 5,000 wells) within a short period of time (3 months) in order to showcase the capabilities of Petrel, software used in the petroleum industry. 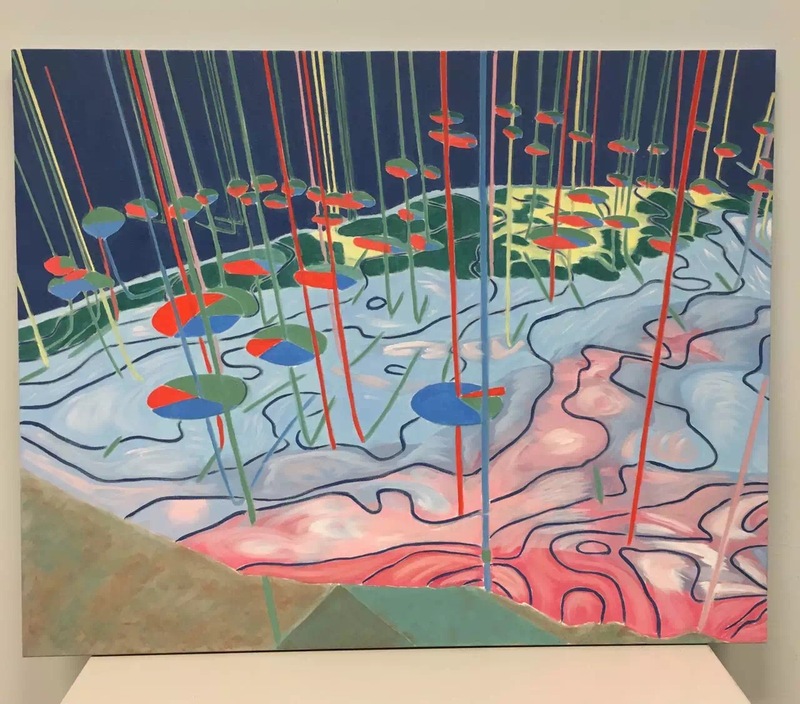 She then created this painting, which shows the wells with production data (red is gas, green is oil, and blue is water in the pie picture) on top of a subsurface with contour lines.